People like Hodge are essential if America is going to deal with a growing crisis in the sector: four million people are turning 65 every year, and there aren’t enough professionals to take care of seniors as they age. Those who are willing to do this work tend to be women. It’s “disproportionately women of color and immigrant women who do this work,” Ai-Jen Poo, director of the National Domestic Workers Alliance tells us. “And it has a long history of being undervalued, under-recognized and even excluded from some of the most basic, basic protections,” she says. Domestic workers were excluded from core labor protections set in the 1930s and were only granted federal minimum wage and overtime protections in 2013. Home care workers still have to deal with no paid sick leave, low wages, and sexual harassment, among other challenges. The turnover rate hovers at around 67 percent annually. “The people who are caring for the people who are the most vulnerable people in our country, are being treated in a really awful way,” says David Hammer, Executive Director of the ICA Group, a consulting firm that works with home care companies. 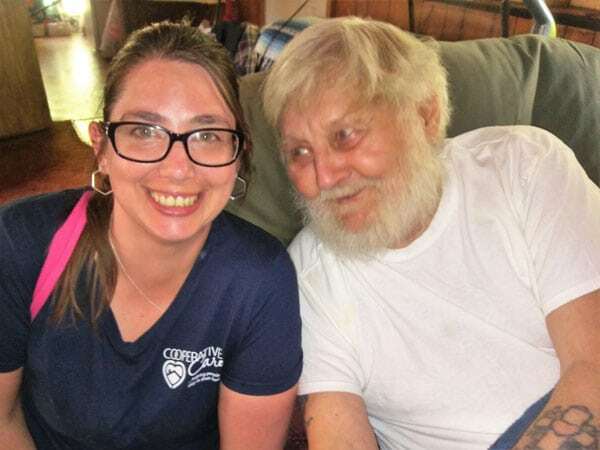 In this podcast, we travel from rural Wisconsin to the Bronx to spend time with family caregivers and home care workers like Hodge. We learn about the economic and political factors that have created this crisis, and we explore what it will mean if there aren’t enough people to do this work.